We hope that all of you high-school students have taken your yellow T- shirts out of the closet! We are only 15 days away from the beginning of he 16th Youth Film Festival and the 4th Four River Film Festival, that are to be held from September 7th till the 10th. For five years in a row this film mania is an event that symbolises the end of summer follies, the beginning of the new school year, but above all loads of fun for all the film fans. A part of this years’ Festivals programme is reserved for presenting various similar festivals and workshops for high school students in both Croatia and the world. This years’ (Srednjoškolci predstavljaju srednjoškolcima, ne piše u drugom dokumentu kako je službeni prijevod) is abundant with interesting ideas. The SPS presents: Fresh Film Festival from Ireland, Timeline Film Festival from Italy, Nordic Youth Film Festival from Norway, Kid’s Eye Film Festival from Hungary and Youth Media Summit from Serbia. 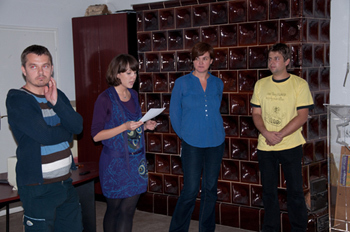 Lets’ say a few words about the participants. The Fresh film Festival developed out of the Irish School’s Video Competition and had its 15th edition in March of this year, where it also screened 200 films from all parts of Ireland and the world. The FFF’s guidelines are young people, workshops, summer camps, educational DVD’s and various different contents. FFF in association with the Irish Film Institute and the European Broadcasting Union helps young authors by distributing their films around the world. Three months prior to the Four River Film Festival, Norway and the Nordic Youth Film Festival are for nine years now, are the hosts of international films. The festival developed out of a desire to encourage local young filmmakers to make films thus creating a considerable network of contacts. For six years now, in August, many young people from all over the world come to Serbia in order to develop their media literacy. A platform for the formation and expression of one’s own mind and opinion about current international issues- International Youth Media Summit, and 20 countries have participated at this year’s summit. Hungary is one of the countries that are working hard on creating a wide network of youth film. 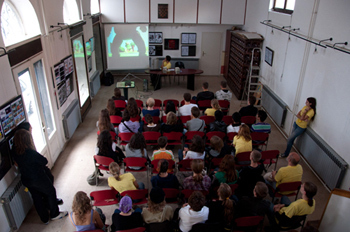 Kid’s Eye Film Festival is a relatively young Hungarian festival of primary and secondary school film. During the latest (third) edition of the festival, 136 films, from Hungary and most of eastern and central European countries, were screened in competition. Besides the Festival, this organization also organizes numerous workshops and summer camps for children where young filmmakers work together with teachers on all stages and segments of the filmmaking process kids from children’s homes also participate in the which makes the whole project even more noteworthy. And last but not least Timeline Film Fest is a project of a group of enthusiasts from The Institute of Secondary Education Leonardo da Vinci. Together with a few collaborators: the Austrian Ministry of Education, Muestra de Video Escolares – high school video revue, Next Station – high school centre for video production from Denmark; Italian festivals Marano Boys Spot Festival, GiroCorto and Efebo Film Festival, Timeline wants to form a unique educational high school film network in which film is the universal form of communication, a supra-national language of sorts. All of the above mentioned film festivals are another confirmation of the importance our little Four River Film Festival and a motivation for further and broader cooperation with film institutes from all over the world. Therefore come down to Karlovac from September 7th till 10th and have a look at this festival of film followed by yellow madness! Be a part of making a new film network and give a part of yourself into it.